Need to de-stress, open up or be pampered? Try a therapeutic massage at Jivamukti Yoga New York. Contact our front desk to inquire about booking a session. Carmen is experienced in Swedish massage, Myofascial Release, Cranial Massage, Reflexology, Neuromuscular Massage Therapy, and Thai Massage. 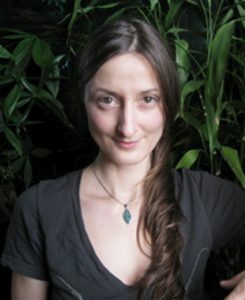 Carmen has studied at the Swedish Institute for 1000hr and completed 645 hours of Massage Therapy Certification at Educating Hands of Massage in Miami, Florida. She studied Thai Massage in Thailand at The WATPO Traditional Medical School. Franco is a hands on healer, who graduated from the country’s finest Massage School; The Swedish Institute of Massage Therapy and Applied Health Sciences, here in New York City. He’s been working in the field for many years and is regarded as one of the finest massage therapists in New York City. Franco has vast experience with several different modalities of massage, including Swedish, Deep Tissue, Sports, Medical, Thai, Reflexology, Shiatsu, Prenatal, Cranial-Sacral, Hot and Cold Stone, and several others. He is also certified in Nutrition and Personal Training, and sometimes adds a touch of Reiki to his sessions. Sessions also can include body assessment, alignment, moisturizing, and aromatherapy.